"The Pathfinder Division" or "The Golden Arrow Division"
Major General Donald A. Stroh, until November 27, 1944. 13th Infantry Regiment, 28th Infantry Regiment, 121st Infantry regiment and supporting units. 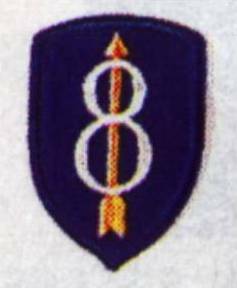 During the battle the 2nd Ranger Battalion was attached. 344th ID, 89th ID and 272nd VGD. 5200 battle and non-battle casualties.